I read the news today. Oh, boy. 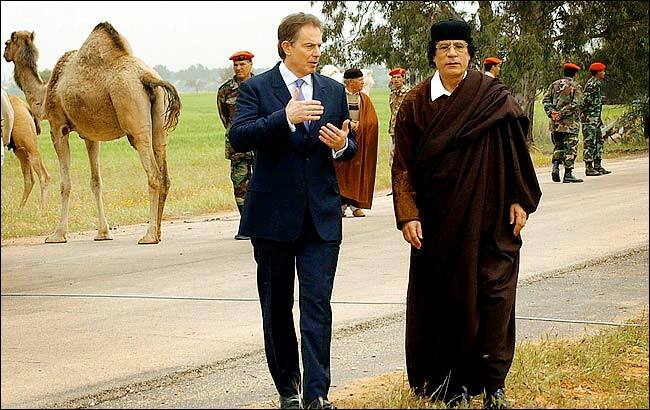 Photo: British Prime Minister Tony Blair talks with Muammar Qaddaffi who ordered the assassination in London of Libyan dissident Al Mehmet Abu Said. Mr. Blair explained that Britain’s Labour Party, “employs character assassination” as the preferred means of eliminating dissent.